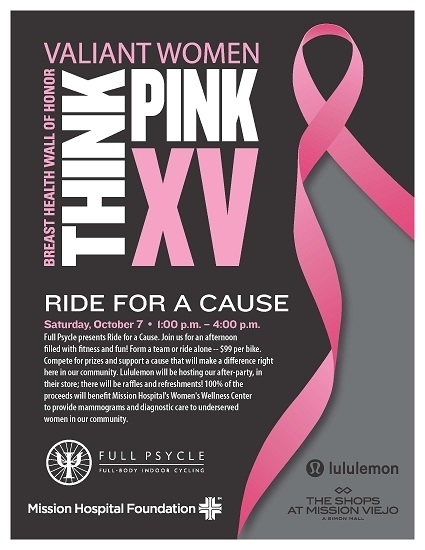 FP, Lululemon & Mission Hospital Ride for a Cause! 2) Visit our Full Psycle South County Reserve page and click on the Ride for a Cause event, then book your bike! 3) Once you receive the confirmation email, please email peach@fullpsycle.com with your bike number, team captain and team name!